County Durham Community Foundation provides grants that make a genuine difference to the lives of local people. We manage charitable funds donated by local individuals, families, businesses and trusts, building up a source of long-term support for the community and acting as the vital link between donors and local needs. Gateshead’s free holistic therapy and drop in centre, providing free care for anyone affected by cancer or terminal illness. Come to talk, to share, to relax and be yourself. 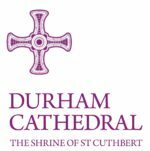 St Cuthbert’s Hospice is one of County Durham’s most loved and respected charities. Deeply embedded within the community and with thousands of engaged supporters, we raise over £1.3m a year to maintain our day hospice and in patient services and our ground breaking dementia programme. We have eight shops across the county.